Darjeeling is a hill station located in West Bengal. It is also called as the queen of hill stations. In 1817, it was gifted to the British East India Company by the king of Sikkim. Today it is one of the most popular hill resorts. 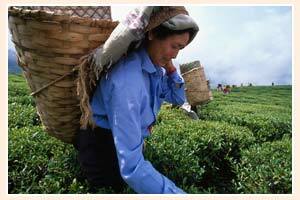 Darjeeling is known throughout the world for its tea gardens, and the Toy Trains. Tiger hill, from where one can enjoy picturesque view of the Kanchenjunga peak is a famous tourist spot. Other major tourist sports in and around the city are the Batsia loop, the Japanese Peace Pagoda, the Dhirdham Temple, Padmaja Naidu Himalayan Zoological Park, the Lioyd's botanical garden, Senchal Lake and Tawahar Parbat.